Ask Capcom about a release date for Street Fighter IV on console, and all they'll say is "Winter". It's helpful, but not that helpful. You want real helpful? Try asking the same question of Red Ant, distributors of Capcom's titles in the Australian market. 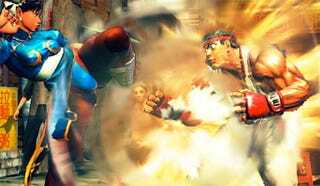 Their release schedule tells me Street Fighter IV will be out on these antipodean shores Friday, February 27, 2009. Which, while falling short of an official announcement, looks a little too precise to be a placeholder date. It also scrapes into that "Winter" timeframe by the skin of its inky black teeth.